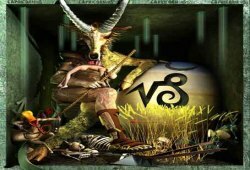 Deeply learn about Capricorn zodiac in our Capricorn Traits site. Be happy with nicest info about Capricorn characteristics, daily horoscope, woman or man traits. 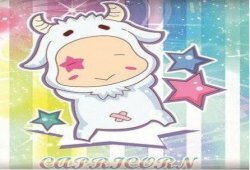 The Capricorn man is very passionate in the interior, but not emotional in the exterior. Deep inside he craves for love but he is very hesitant to place trust in other people. If you aim to win his heart, you need to show him your admiration and earn his trust gradually over time. Trust and patience are keys with a Capricorn man; he has so much to give the right woman who is willing to wait for him. What else do you want to know about the sea goat male? Let’s read Capricorn Man Traits. What to know about Capricorn Man Traits? The greatest strength in Capricorn man traits is his ability to set targets and pursue them until accomplished. Nothing can get in the way of a Capricorn’s projects and ambitions. He likes planning his every single move, estimating all the pros and cons of an issue before making his final decision. On the negative side, he can be suspicious, stubborn, pessimistic, and sometimes intolerant. Most Capricorn men are not superficial; he believes in quality. He needs intelligence, integrity, and character more than anything else. Besides, he is not too fond of extravagance and materialism. He is happy in his safe zone where he is surrounded by genuine well-wishers. The Goat male is ambitious and self-dependent; he works with single-minded dedication, giving everything he can to reach his goals and obtain his dreams. He is sincere, patient, and practical. With his admirable modesty, the Capricorn man often tends to avoid self-praise. Capricorn is probably the most misunderstand sign in the Zodiac house. His quiet exterior makes people think that he is aloof and arrogant. In fact, Capricorn man truly wants to enjoy people – he is just too shy to expose his real feelings. He is inclined to build a wall to protect himself from evil-minded aims. He is often cold to those outside of his circle of friends and family. He is highly cautious when making new friends. In fact, the Capricorn man is very loyal to those he loves. As a result, once you show the goat male your pure heart and win his trust, he will make you the happiest woman in the world. The Capricorn man is very trustworthy, probably the most trustworthy of all zodiac signs. Underneath his secretive nature is a romantic stripe with a strong sense. The goat hides this side carefully but once you unlock it, you will be surprised at the transformation he has undergone! My name is Tanner Lancaster and I am totally responsible for the content at Capricorn Traits website. Via different articles here, I aim to provide you a place where you can enjoy the informative information regarding to Capricorn zodiac sign. Well, most are mainly based on my personal experiences as a Capricorn myself. What is a Horoscope Sign? Copyright © 2019. All right protected on content of: Capricorn Traits !